The Auditor General of South Africa opened with a briefing on the Department of Social Development and its entities. South African Social Assistance Agency (SASSA) received a qualified opinion with findings. This qualification was due to the incompleteness of irregular expenditure, as systems and controls did not identify all irregular expenditure that resulted from non-compliance to National Treasury prescripts. SASSA failed to comply with key legislation and lacked enforced consequences on officials who incurred fruitless, wasteful and irregular expenditure. The National Development Agency had findings on performance information. These findings occurred in most performance indicators within programmes two and three. The AGSA reported that completeness and accuracy of reported outcomes and figures were not reliable or ascertainable in most cases. All three entities failed in providing full assurance at first, second and third levels of employment. However, senior management and administration were of most concern. The Department of Social Development spent 99.60% of its allocated budget, but, in relative terms only achieved 80.30% of its targets, corresponding to 86 of 107 targets achieved in absolute terms. This data strongly hinted at poor planning structures concerning fiscal and performance functions. Members expressed concern on patterns of yearly regression. They highlighted dubious shifting of funds from programmes such as welfare, into administration. They questioned the functionality of Supply Chain Management processes. Members said continued non-compliance and lack of consequent management preceded corruption. The National Development Agency presented a briefing on its Annual Report 2016/17. It included an explanation on expenditure, difficulties in enforcing key controls amidst executive uncertainty, and allegedly underfunded programmes. Members were frustrated with the absences of numerous important figures, namely the Chairperson and Board members of the NDA. There was concern for the lack of compliance and consequence management in the agency. They asked what merited performance bonus payments in the midst of such poor performance? Mr Lourens van Vuuren, Business Executive, AGSA, opened by stating that the AGSA recognized the importance of a thorough analysis of DSD’s portfolio audit outcomes in aiding effective oversight. Such oversight included, but was not limited to producing a budgetary review and recommendations report. The Committee, in turn, was able to address areas of concern in the report, and hold the Department accountable. Mr van Vuuren reported that South African Social Assistance Agency (SASSA) received a qualified opinion with findings. This qualification was based on the incompleteness of irregular expenditure, as systems and controls did not identify all irregular expenditure that resulted from non-compliance to National Treasury prescripts. Further findings concerned compliance with key legislation. Non-compliance was resultant of inadequate monitoring of SCM legislation and, SASSA not ensuring appropriate consequence management upon officials that permitted or incurred fruitless and wasteful expenditure. It was a requirement of the PFMA to prevent fruitless and wasteful expenditure. It had to be detected, then was investigated. Within SASSA, these investigations failed to be undertaken. SASSA’s Annual Performance Report had material findings on the reliability of reported targets. Specific requirements in SCM which was mainly local content requirements were not complied with. SASSA had to disclose all non-compliance transactions in their financial statements. AGSA gave SASSA a deadline to adjust their financial statements; however, SASSA was not able to correct their irregular expenditure within this timeframe. On quality of annual performance plans, all three entities received an unqualified opinion with no material findings. However, the NDA and SASSA had findings on performance information. SASSA’s material findings were located within programme two, relating specifically to the percentage deductions from grant payments. AGSA expressed their inability to ascertain the accuracy of this target. While NDA’s findings related to all indicators in programmes two and three, completeness and accuracy were of most concern. He said that key controls within the environment leading to these findings were covered. This allowed attention to be given to action plans in future; ensuring control environments would yield better audit outcomes. Mr van Vuuren said a key focus had to be directed at SCM. Information technology (IT) also remained an area of concern at both SASSA and DSD. He stressed the importance of IT towards the financial and performance management of SASSA and DSD. On assurance provided by these entities at first, second and third levels, senior management, as a governing body, needed to provide more assurance. Senior management’s assurance directly correlated to daily controls. DSD’s audit committee provided only some assurance, as there was no functioning committee in place at the time of audit. However, this was rectified since. He said that the Portfolio Committee provided assurance in all its functions, including its oversight role into the budget vote process, review of the annual reports and, quarterly reporting. Amongst others, it followed up on key matters reported in the Committee’s prior year BRRR report. Analysis of expenditure per programme vs performance achievements for DSD yielded no material findings in programme two and three on usefulness and reliability. Thus, no materials adjustments were needed. Programme one and five were not audited. He explained that the overall budgeted sum was R147 933 229, compared to the actual amount spent of R147 342 628. This represented 99.6% expenditure of the budgeted amount. In total, DSD set 107 targets and achieved 86 of them. Programme one had planned 15 targets but only achieved 7, yielding a 46.7 % achievement rate. Programme two had 8 planned targets, with 6 achieved indicating an achievement rate of 75%. Programme three had a 100% achievement rate, achieving all 8 of its planned targets. Programme four planned 40 targets and achieved 37, representing 92.5 % achievement rate. While programme five set out 36 targets and achieved only 28, an achievement rate of 80.4%. Mr van Vuuren said that the analysis and quality of SASSA’s expenditure per programme vs performance achievement yielded no material findings on usefulness, however, accuracy of reliability was unable to be confirmed. SASSA overspent, using 104.6% of their budgeted amount while only achieving 19 of 38 targets planned. Mr van Vuuren said that the NDA’s analysis of expenditure per programme vs performance achievements yielded material findings in programmes two and tree. Focus on these areas could ensure reliability in future audit outcomes. The NDA underspent, using 90% of their budgeted amount. R 220 762 000 was actually spent, compared to R244 319 000 as planned. Of 23 targets, 21 were achieved, representing a 91% achievement rate. He said that some risks on financial health were identified for DSD and SASSA. Old debt was detected; however, currently departments were not required to enter debts into balance sheets. Alternatively, had the Department reported on the accrual basis of accounting, the 77% impairment of social assistance debt would have resulted in a net liability position. He said that the Department had accruals aged more than 30 days. Treasury regulation required accruals to be paid within 30 days, thereby avoiding potential liabilities on next year’s budget. SASSA reported a net loss for the current financial year. Net cash flows from operating activities were negative, as expenditure was funded from accumulated surplus. The period taken to recover debtors increased. No concerns were identified for NDA. He indicated that the DSD should collaborate with National Treasury to liquidate addition funds, even if it took several years. Keeping unrecoverable debt in its financial books would be useless. He said that none of the departments had unauthorised expenditure. Fruitless and wasteful expenditure could have been avoided if reasonable steps were taken. This totalled R2 million and was attributable to cancelling hotel reservations, car damages, interest and penalties, and unutilized venues already paid. Irregular expenditure was incurred in contravention of key legislation; of which the Department had R376 million in the 2016/17 financial year. Irregular expenditure was attributed mainly to non-compliance with National Treasury’s SCM prescripts. On fraud and consequence management, SASSA’s material finds indicated disciplinary steps were not taken against officials who incurred and permitted fruitless and wasteful expenditure. Mr van Vuuren said that root causes to these audit outcomes were threefold. NDA and SASSA had slow responses by management. In SASSA, there was instability or vacancies in key positions (such as the CEO, NDA: CFO and DSD: DG). NDA and SASSA both lacked consequences for poor performance and transgressions. He said that the AGSA recommended that the Committee monitor the progress and achievement by SASSA on the plans to implement the new social assistance payment model. The Committee should also monitor the implementation of the audit action plan to address findings on financial, compliance and performance reporting and also monitor the filling of critical vacancies in the portfolio that arose in the year. Ms B Abrahams (ANC) thanked AGSA for an informative presentation, and also commended the formula devised for corruption. In the public sector, consequence management seemed less emphasized. These issues resurfaced yearly and guilty parties continued with this behaviour. What could the Committee do to effectively address these issues? Ms B Masango (DA) referred to page 14. Effective leadership of the Department and its entities was classified as ‘good’, however, the other components within leadership were deemed ‘of concern’ or ‘intervention required’. What then, informed the classification of leadership being good when 67% of performance reports had material findings? What did it mean for accounts to be dormant? Was there a lack of money? Dr Q Madlopha (ANC) thanked the AGSA in aiding effective oversight. What was the reason for regression in audit outcomes? Was it attributable to a new auditing method or did the findings indicate repeat offenders? Ms H Malgas (ANC) referred to the methodology used as it was known that the accounting officer as the administrative head. However, why was the executive authority, who oversaw political processes, not addressed directly? Why was the AG not making a proposal with regard to the dormant accounts reported in the BRRR? The Chairperson said that the reported regression indicated increased scrutiny by organs of State. This was important as more weaknesses could be identified. It as questionable that programme one (administration) continually was not audited given it drove financial operation. Despite spending funds reasonably below budget, auditing may uncover unnecessary spending. Ms V Mogotsi (ANC) expressed concern that year after year programme one was not being audited. This was the case in departments other than Social Development too. Organisational structures began with administration and there was potential for mass mismanagement. Failure to audit the programme created uncertainty on the placing of human capital. AGSA was failing us. Ms Vanuja Maharaj, Corporate Executive, AGSA, replied that with regards to consequence management, at senior management level, parties were not reacting to basic controls, lacking sound financial discipline and not complying with relevant legislation. She said that the AGSA expected most assurance from senior management. They were tasked with ensuring that the mandate of relevant entities was met. Lack of consequence management in the system had a knock-on effect; employees became comfortable doing the bare minimum, if any work at all. What culture were we creating by keeping such people in the system? People had to be held accountable for their responsibilities. On leadership, Mr van Vuuren responded that several indicators were used to determine status of key controls. Effective leadership entailed leadership culture and governance, to which existed no negative findings. Effective leadership was a softer control. More critical controls, such as oversight responsibility was deemed to require intervention, as with SASSA. On dormant entities, this phrase meant that an entity did not do business on a daily basis. However, in the social development environment, these entities did have funds. A few years prior, the AGSA advised the Minister that legislative processes had to be followed to discontinue dormant entities. This two-year-old recommendation from the AGSA was acted upon. The Annual Report on Social Development provided that “the amendment of the Fundraising Act was underway. It is envisaged that the consolidation of the Disaster Relief, Social Relief, Refugee Relief and, State President Funds will be concluded in the 2017-18 financial year”. On reasons for regression, he said that SASSA’s qualification was due to completeness of irregular expenditure and failure to adhere to local content provisions in securing procurement. Although not initially complying, the Department rectified all cases. When engaging with contractors, one had to verify whether they had the necessary Construction Industry Development Board (CIDB) rating. The Department failed to do so. He emphasized that this rating was crucial in determining the magnitude of a project and a contractor able to undertake such a project. He said that emphasis had to be placed on SCM, especially with day-to-day controls concerning training. SASSA’s procurement was decentralized across all nine provinces, which required the Head of Procurement to put mechanisms in place to secure adequate training in these regions. On AGSA’s methodology, he said that visibility strategy necessitated engagement at all levels. When the Executive was available, the AGSA engaged with them. If not, the AGSA compiles briefing documents submitted to the Executive authorities. The AGSA have done this for previous internal control reviews, and would follow this process for the status of records too. Audit committees were fully briefed, assisting in formulating internal audit plans with focus on key areas. On whether AGSA’s new methodology impacted the audit outcomes, he said that this was in management hands. In the SCM environment, the AGSA typically recommended a checklist to assist in following procurement requirements, which were extremely detailed and complicated. Then, following procurement, an independent review was exercised by a supervisor. Regarding the auditing of programme one, he explained that it was subject to a financial and compliance audit like any other programme. However, only for performance information it was not audited because the AGSA was concerned with the key service delivery programmes. On the shifting of funds, an expropriation statement was embedded in the financial states. The expropriation statement enabled AGSA to track the movement of funds and compare it to the budget and the adjustment estimates. He said that the AGSA analysed whether virements were properly approved and exercised within the limits of key legislation, such as the PFMA. If a virement met these requirements, the AGSA may not enquire further. However, the Committee in its oversight capacity may engage management on their failure to budget effectively. Ms E Wilson (DA) inquired what authority the AGSA held when the NDA and SASSA failed on SCM year after year. On the reliability of reported targets on page 18, were the entities misleading the AGSA in its reporting? It was remarkable that the NDA was primarily concerned with Civil Society Organisation (CSO) mobilisation and capacity building, yet these were the main areas of concern. On pages 14 and 15, there was a contradiction: with effective leadership being ‘green’ while senior management was ‘yellow’. Leadership could not be effective if its subordinates were ineffective. It was alarming that SASSA spent 100% of its budget, while only achieving 35.3% of its targets. Ms P Sonti (EFF) asked why SASSA failed to take disciplinary steps towards officials who incurred and permitted fruitless and wasteful expenditure. Why were disciplinary hearings not held for confirmed cases? The Chairperson responded that such difficult questions should be directed at the Department, instead of the AGSA. If the Department could not answer the questions, then the Committee had to approach an executive authority to take action. On repetitive findings, Ms Maharaj responded that authority rested with the Department. The AGSA’s role was to share findings with all stakeholders, but the action rested with the Department, Minister and accounting officers to respond. On discrepancies in leadership, the green marked effective leadership entailed things such as discussion of ethics. However, the other components of leadership were mainly yellow and red. She said that the AGSA then made an assessment on the assurance as a whole, so senior management provided some assurance. On the reliability of reported outcomes, she said that it was not a matter of misrepresentation. However, the AGSA found discrepancies between supporting documents and information reported by management. Mr Faizel Josee, Senior Manager, AGSA, responded that the NDA changed its recording system during the third quarter of the financial year. In this process, information was not transferred, or it was transferred to the wrong place and documentation was not properly processed. The AGSA found several duplications of information Thus, the AGSA could not place any reliance on reported figures. Mr Theunis Eloff, Senior Manager, AGSA, said that on the dispute on deductions for resolved social grant payments, the AGSA identified that not all items were recorded on the system. The AGSA estimated a figure of 33% but SASSA reported 36%. The Chairperson thanked the AGSA for its diligent work and concluded the first presentation. Mr Thabani Buthelezi, Acting Deputy Director General: Strategy and Organizational Transformation, DSD, said the Department was here to report on how it has performed against predetermined objectives approved by the Committee, and the state of expenditure within DSD. He said that DSD’s overall programme performance for the financial year 2016/17 showed improvement from previous years. On the achievement of targets, DSD increased 12% from 2015/16 (69% vs 81% achievement rate). This corresponded to a 12-percentage point decrease in unachieved targets between the previous financial year and the current (31% vs 19%). He said that Department received a clean audit for five consecutive financial years; both on performance information and finances. Thus, performance information was presented in accordance with National Treasury’s annual reporting principles and was consistent with the planned objectives. Performance information was also reliable; meaning it was valid, accurate and complete. He said that in quarterly performance reports, performance was rated according to three categories: achieved, partially achieved or not achieved. This was because if targets were not achieved in a particular quarter, they may still be achieved in subsequent quarters. However, in annual reports such as this, only two performance ratings were used: achieved and not achieved. Notably, despite some departmental targets being listed as ‘Not Achieved’, substantial progress was made towards achieving these targets. With regards to overall achievements of targets by programme, the DSD set a total of 112 targets of which only 92 were achieved. 20 of these targets were not achieved. In programme one, a total of 17 targets were set, of which only 8 were achieved. 9 were not achieved. In programme two, 8 targets were set, all of which were achieved. In programme three, 8 targets were set, all of them were achieved. In programme four, 42 targets were set. 39 of these were achieved, with 3 not being achieved. In programme five, 37 targets were set overall of which only 29 were achieved. 8 targets were not achieved. He said that in programme one, 18 Communities Care Centres were planned to be constructed but only 13 were actually constructed. This was attributable to termination of contracts with contractors, and funding for some Community Care Centres being confirmed late. In programme five, on special projects and innovation, there was a target to create 152 263 work opportunities, however, only 134 375 were actually created. He said that the reason for deviation was provinces not capturing work opportunities in time, or having challenges with the reporting system. In terms of registration and monitoring of NPOs, the target was to process 99% of applications within 2 months of receipt. The Department processed 97% of applications within 2 months. The reason for deviation was the NPO system being unavailable between April and June 2016, resulting in delays. On community mobilisation and empowerment, a target was set to reach 450 wards through community outreach programmes. 2 058 wards were reached through community outreach programmes. This represented an overachievement. With regards to poverty alleviation, notably a target of 60 000 people accessing food through CNDCs was set, and a total of 302 357 people accessed food through CNDCs in the end. Mr Clifford Appel, Chief Financial Officer, DSD, stated that a total of 99.6% was spent in the financial year, translating to R147 342 628 000. For Programme 1: Administration, 99.90% of the allocated budget (R349 746 000) was spent. For Programme 2: Social Assistance, 99.60 of the allocated budget (R138 915 638 000) was spent. Programme 3: Social Security and Administration, 100% of the allocated budget (R6 980 942 000) was spent. For Programme 4: Welfare Services, 99.3% of the allocated budget (R713 088 000) was spent. For Programme 5: Social Policy and Integrated Service Delivery, 99.7 % of the allocated budget (R383 214 000) was spent. Mr Appel said that underspending was prominent in transfers and subsidies, namely to higher education institutions (85.29% spent) and foreign governments and international organizations (90.22%). Ms Masango asserted that leadership could not be effective if its oversight ability was deemed of concern and needing intervention. Which processes enabled a target to land on the list? Did these targets emanate from an investigation into the general publics’ needs? This question was asked due to the history of certain targets being sidelined. On the construction of community centres and creating job opportunities, once constructed, were these centres being made functional and further developed? What effects were there on creating job opportunities? Ms Malgas referred to targets on page 7, saying that an ‘overachievement’ as stated in the report merely equated to over expenditure. On virements, it was not stated from which economic classification the money came from, nor was there any justification provided to motivate the virements. All actions concerning public funds had to be justified. Ms Abrahams asked what steps were being taken to reinforce consequence management. Current lack of consequence management potentially invited unconscientious work ethic. As the AGSA’s theme was accountability, what consequences did repeat offenders face? Ms Wilson spoke about regression and said that in previous financial years there was substantial spending on new technology, which made it troubling to hear this year that troubles with technology persisted. She had doubts on how over 2400 wards were reached and clarification was sought as to how that was achieved. The Chairperson was concerned about the criminal behaviour suggested by the moving of funds back and forth from different programmes. Such as the removal of funds allocated for welfare service to programme one namely trivial matters like transportation, yet it was unclear why these funds were moved. Over-expenditure attributed to ministers and public officials, should there not have been prioritisation of budgets in advance? In the case of there being so many virements, there had to be justification of a crisis mandating such action. On consequence management, the acting DDG said troubles were attributed to a non-functioning laws control committee that was revived throughout the year. This committee would meet next week and continue to address SCM processes. Ms Nelisiwe Vilakazi, Deputy Director-General: Strategy and Organisational Transformation, DSD, replied that virements were resultant of unforeseen circumstances that necessitated such action. The Public Finance Management Act gave the Department authority to make such virements. Ms Tsoleli said although certain laws permitted virements, the legislation did not intend for officials to abuse the law. These illegitimate virements were usually into programme one, administration. Ms Malgas was concerned about the lack of justification for controversial virements. She suggested the Department submit operational plans alongside annual reports in following years. Ms Mogotsi was concerned over virements being prevalent every financial year, which indicated poor planning by the Department. Mr Thabani Buthelezi conceded that over R11 million was moved into administration from namely programmes 3 and 5 as costs were higher than expected originally. Ms Tsoleli began speaking in a vernacular language. She asked for a breakdown on what the money deriving from virements was used on. It was demanded that this evidence be presented today, or at another time. The Chairperson asserted that proper planning in advance would prevent lack of funding. She questioned the Department’s ability to construct facilities in light of past failures and poor standards in completed projects. Ms Vilakazi referred to programme one being underfunded. She said certain components of programme one were neglected, hence virements were required to address the shortcoming. Mr Appel responded that Treasury rules did not allow certain services to be classified under programmes three and four, hence they were moved into programme one. He said government budget cuts contributed to underfunding and the retrenchment of 124 employees. He said mandatory costs, which were incurred by the entire Department, were not granted funding from Treasury and hence virements were required. 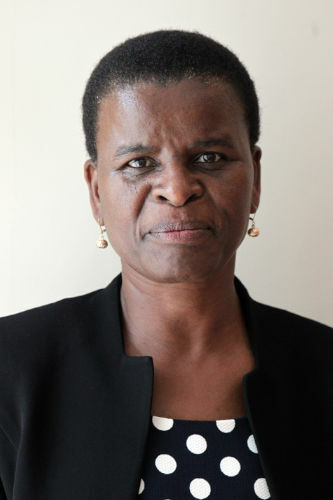 Ms Wilson underlined that despite underfunding, wasteful spending was incurred due to ministerial travels (over R97 million) indicating certain costs could be cut. The Chairperson said that as long as officials discreetly move funds under the guise of virements, receiving funding would always be difficult. She ensured that Members would closely scrutinize the Department’s report in the days to come. Mr Abram Hanekom, Acting Chairperson for the NDA, apologized for the absence of Board members and recognised the importance of the board’s oversight function. The CEO of NDA presented that programme one met all its targets, in fact 3 more partnership agreements were concluded and signed than originally planned. 11 814 additional hits to the target of 80 000 was achieved. This attraction was attributed to adverts of vacant positions. Percentage reduction in regulatory audit findings was planned for 80%, NDA achieved 0%; this increase in non-compliance was due to low morale and unawareness. In programme three, capacity building, targets were all achieved. This was due to improvement in collaborative partnerships, improved partnerships with provincial departments of Social Development. The NDA had three employees living with a disability, which represented 1.8% of its staff complement. The vacancy rate was 22%, with a turnover rate of 6.7% after the departure of 12 employees. Personnel costs totalled R220 762 000. Nearly half was spent on governance and administration, at R102 980 000. On financial performance, Programme One spent 91.10% of its budget, which equaled R102 979 842. Programme Two spent 102.50% of its budget, equal to R72 152 919. Programme Three spent 98.60% of its budget, equalling R40 741 309. Research and Development spent 92% of its budget, which equalled R4 887 988. Revenue generated was 103% of the budget, translating to R237 317 932.A surplus of R16 555 872 remained, translating to 4% of the budget. The NDA currently operated under stringent financial constraints. Financial allocation increased at 5% per year while CPI averaged 6.5%. Thus, there was no increase in real terms. Key organisational expenses towards the rental of offices and employment costs increased by 8% and 7% respectively, above average CPI. Revenue was generated from 3 key sources: allocation, conditional grants and other income. Revenue decreased by 7% between 2016 and 2017, from R254 million to R237 million. This was mainly attributed to a reduction in conditional grants received from other governmental departments. The expansion to the districts meant new personnel at district level required training on programme implementation and this took longer than expected. Ms Abrahams stressed adherence to legislation to avoid corruption and encourage accountability. The lack of SCM and consequence management suggested a lack of day to day controls. What were the monitoring processes involved after training and on consequence management? Despite the Board having more meetings, what was achieved in these? What was being done to incorporate and empower disabled persons, as there were currently only 3 employed? Ms Wilson expressed concern over repeated regression. She also stated that none of the reported figures could be verified, as proven by the AGSA’s findings on the NDA. Why were performance bonuses paid out when the NDA’s performance was abysmal? Ms Mogotsi sought clarification on the distinction between savings and delays in expenditure? Ms Malgas sought clarification on the variances reported on page 66 of the NDA Annual report. Mr Hanekom commended the Committee on its diligent analysis of the annual reports. On the Board meetings, it was a complex meeting because the board scheduled a requisite number of meetings yearly, and oversight necessitated meetings too. However, the Committee was correct in saying planning should improve. He said that on performance bonuses, a precedent was set to give bonuses, thus the NDA could not depart from the practice. However, this would be reconsidered for the following financial year. The Chairperson mentioned several projects funded by the NDA with money pleaded for before the Committee which were abandoned or neglected despite the funds being depleted. She expressed concern on the lack of collaboration with the local sphere of government. She asked how the NDA managed to exercise hydroponic agriculture when there was a low level of knowledge in this field. The NDA reported success in achieving developmental targets, however, investigations on the ground indicated that people had very little skills to sustain themselves with agriculture. Mr Appel responded that a saving was when one achieved an objective but spent less than was planned in the process. He recognised that an under-spending was different, and apologizing for using the terms interchangeably. There was an audit turnaround strategy to deal with prevalent non-compliance. Since the assignment of the new CEO, cases of irregular expenditure were investigated more rigorously.